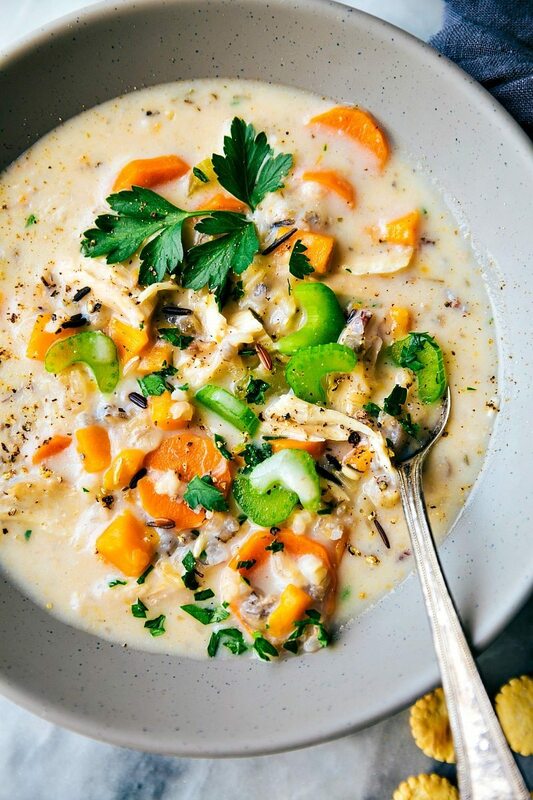 Slow cooker creamy chicken and wild rice soup with extra veggies. 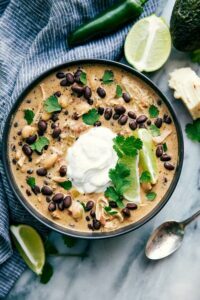 A dump it and forget about it meal that is hearty and satisfying made without any heavy cream or cream of “x” soups! Since my toddler started preschool a couple of weeks ago, he comes home and tells me all kinds of tales from his day. One such tale is that the “big yellow bus goes really, really, REALLY too fast.” Somehow, I doubt his bus goes very fast because, well, it’s a bus. He’s also told me that his teacher gave him three hot dogs that weren’t hot. His take-home journal that the teacher fills out during the day says he eats things like peaches, pears, and cookies. But I guess she keeps forgetting to leave off all those not hot, hot dogs he’s eating. ? Not that I ever thought I wouldn’t miss that kid when he went to school, but it has been far harder than I thought! I’m used to chatting with him all day, baking treats with him, telling him to stop hurting his brother, wrestling with him, or reading him books. It’s so weird to have him gone now a few times a week! It was especially weird to make this soup without him because it is one of his favorites to help with. He loves dumping all of the ingredients into the crockpot and stirring them all together. While it took about a quarter of the time that it usually does to throw this all in the crockpot, it wasn’t nearly as exciting. 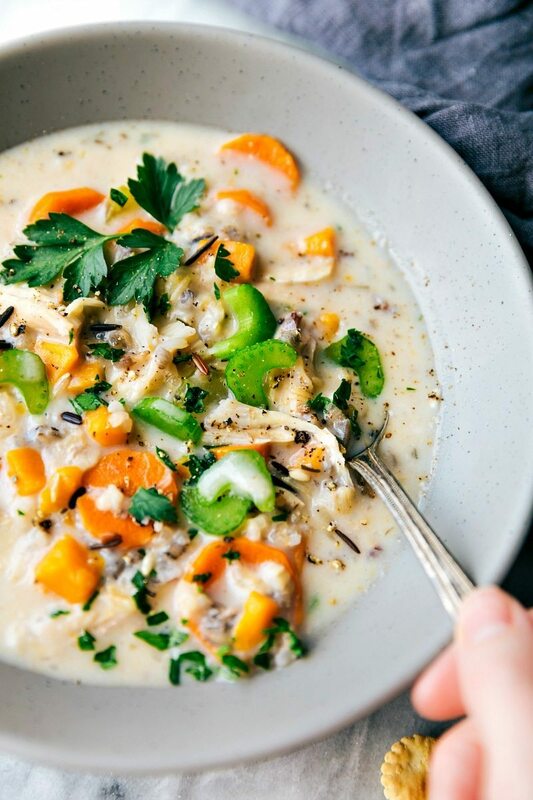 Creamy chicken and wild rice has been one of my favorite soups since I can remember. I make it so many times each winter and yet, have never shared it here because it wasn’t completely perfect. When I did perfect it last year, I never snapped any shots of it; and then Spring came and I decided it would have to wait until Fall. But to ensure there is no further delay, it is the first soup of the season and I can’ t wait for you all to give it a try! 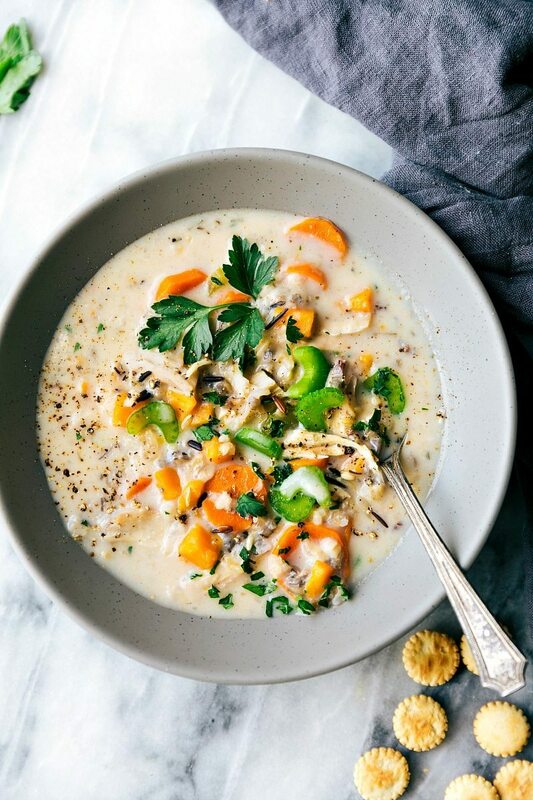 We are completely obsessed with this soup! And while it does have some butter + flour, it is made lighter/healthier by not adding in any heavy creams or canned cream soups. It’s also made healthier by adding in extra veggies. 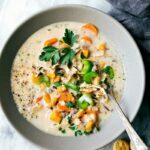 The sweet potato addition is not generally added in creamy chicken and wild rice soup, but I’m certain it will become a new must-have. We LOVE sweet potato in this soup! The sweet potato adds a nice touch of sweetness and also makes the soup heartier + healthier. Seriously, so good. This soup doesn’t require too much direction since it’s really just a dump it and forget about it kind of meal. To make the prep quicker though, you can buy prepared chopped veggies. There are usually a pre-chopped onion, celery, and carrots mixture in the refrigerated produce section of the grocery store. And last note: watch what kind of wild rice you buy! I’ve dyed an entire crockpot of soup purple a few times by using BLACK rice. 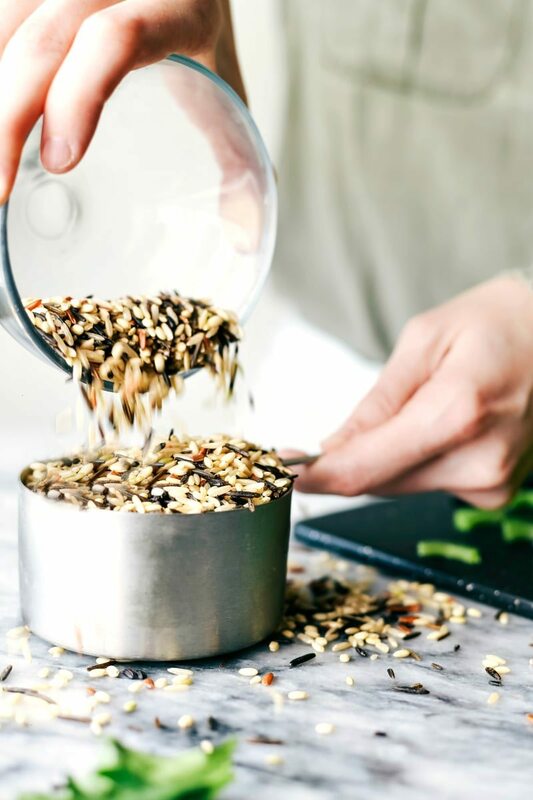 The rice that I’ve had the absolute best results with is a wild rice blend by Lundberg. I highly recommend that blend if you are able to find it. I’ve found it in just about every grocery store near me and it’s just by the varieties of rice, quinoa, and couscous. 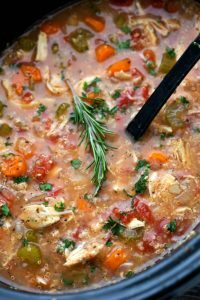 I use a 6 quart crockpot for this recipe. If you have smaller than 5 quart, you will want to halve this recipe. Add in the water and bouillon granules or chicken stock. 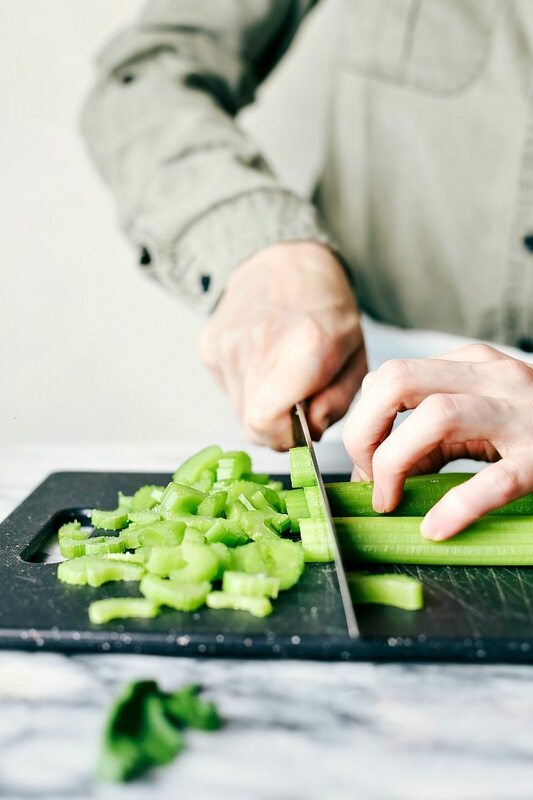 Prep the veggies: dice the onion, thinly slice the celery, thinly slice the carrot, mince garlic, peel and dice the sweet potato. Place all veggies in the crockpot. Add all of the seasonings: 2 bay leaves, dried parsley, oregano, thyme, garlic powder, onion powder, sage, 1/2 teaspoon salt, and 1/2 teaspoon pepper, and poultry seasoning. Stir, cover, and cook on low for 5-8 hours or high for 3-5 hours or until vegetables are tender and chicken is cooked through and shreds easily. About 30 minutes before soup is done, place the butter in a small pot over medium heat. Whisk until melted and then slowly whisk in the flour. Allow to bubble and cook whisking constantly for 1 minute. Slowly add 2 cups of the milk and whisk as you add. Allow to sit over medium heat until thickened stirring occasionally. Remove the chicken and shred. Pour in the cream mixture and gently stir in the soup. Return the chicken to the soup. *Watch what wild rice you buy. Black or forbidden rice will dye the entire dish black. I love the wild rice blend made by Lundberg. That is the prettiest bowl of soup I’ve ever seen! I love all the flavors in this, and I’m a total soup person. I *always* crave soup. I am putting this on my list of recipes to try soon! This sounds terrific, I plan to make this right away. Question – are you using a “sweet potatoe” or a “yam”. Many folks call Yams sweet potatoes, but they are actually different from each other. I would guess that both would be tasty in this recipe… but I’m looking for your opinion on that. Thanks so much for the great blog! Yes either will work Sheena 🙂 But I do use a sweet potato in this soup. I hope you love it! And thank you for your compliment! YUM! I used real sweet potatoe’s – turned out so great! Thank you again! Is it possible to make this with skim milk & have the same delicious results? This is gorgeous, I love the photos and can’t wait to try the recipe! Is it possible to make it without slow cooker, because I don’t have one, unfortunately. Thank you! Recipe looks delicious! Yes you can absolutely make it over the stovetop! 🙂 Enjoy Dimana! I would love to make this soup on the stovetop, as I don’t have a very large crockpot. What would the cooking time be? Thank you! This soup is absolutely delicious! 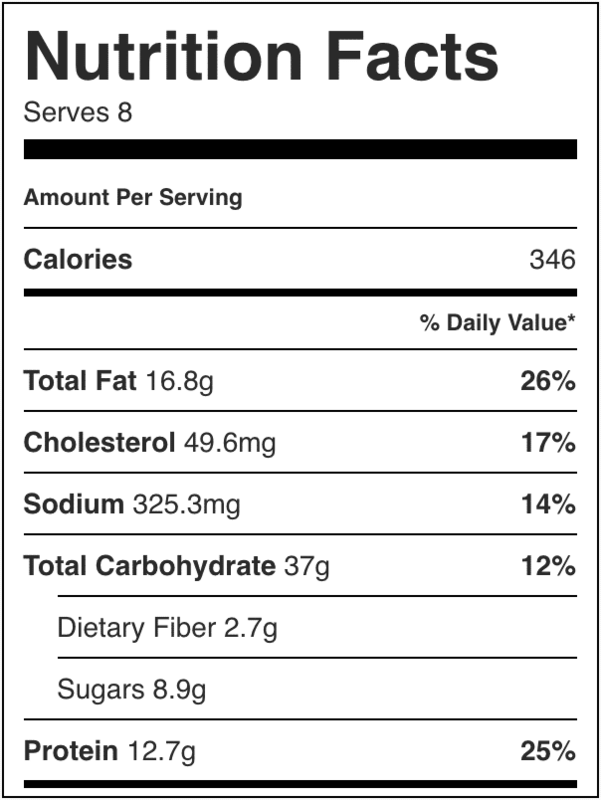 I love the fact that you have incorporated sweet potatoes and wild rice in it! Thank you so much for sharing ! I’m from the town of Lundberg farms! I can totally vouch for their rice 🙂 I’m definitely making this soon, looks delicious! Just made this and it was delicious! Both my picky eaters, 2 1/2 and 4, ate it up ?. My husband didn’t initially like the idea of sweet potatoes but loved the soup too. Thank you so much for your comment Kalee! 🙂 So thrilled it was a hit with everyone! thank you for this recipe, I have loved wild rice and cream of chicken soup ever since Marie Callendars had the frozen soups decades ago but theirs had raw almonds and sherry in it so it was different; I was looking for a new recipe for wild rice (I was born in a state where wild rice is common) and chicken soup and yours sounds just right, as soon as it gets cooler. Our weather is still in the 90s in mid November but it should cool soon. I happen to already have about 4 of the Lundburg mixes and Trader Joes wild rice so I won’t even need to shop. We love sweet potatoes and I was struck by the question one of the posters had about using yams; yams here in California are over 10 dollars a pound as they are exported from tropical lands so we all eat sweet potatoes which are far prettier anyway with the orange flesh. You are welcome! 🙂 I hope you love this soup as soon as the weather cools down! Wow, are they really?! Here in Utah, yams are actually cheaper than sweet potatoes! Funny huh! Hi! 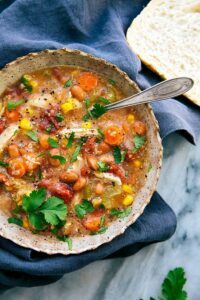 I love your blog, I’m obsessed with soups and crockpot meals, so your stuff is the BEST! This is probably a funny question, but I don’t like wild rice, but this soup sounds amazing. Think it’ll taste good with quinoa or brown rice instead? I love the fall flavored of this soup! Plus it’s a crockpot recipe-can’t go wrong!! But I have made this twice and while it tastes delicious, the rice has been mushy. The second time I cooked the very minimum time which helped but it still doesn’t look anything like the consistency in your pics! What am I missing?! My next attempt might be making the rice separate and adding it in at the end! Hi! I just made this for the first time and I got the mushy soup as well! It taste delicious, just does not look pretty. I used the Lundberg rice. I’m thinking my cook time might have gone a little too long but if you can think of anything else that may be the culprit I’d appreciate it! HOW LONG SHOULD I COOK THIS RECIPE ON THE STOVE TOP? SAME TIME OR CUT IN HALF? I AM SO EXCITED TO MAKE THIS TONIGHT!